“We are extremely excited to have the opportunity to partner with Con Edison in implementing this program throughout the greater New York metropolitan area,” said Larry Weight, President of Resource Action Programs. Resource Action Programs (RAP), a Nevada based company, has been awarded a three-year contract by Con Edison to implement a school-based energy education program in New York City and Westchester County, N.Y. beginning January 2017. Con Edison announced RAP as the bid winner on Friday, December 9, 2016. The program will educate 5th grade students and their families, impacting savings in more than 300,000 households by completion of the contract. The Smart Kids Energy Efficiency Program is designed to educate 5th grade students on the role energy plays in their daily lives, as well as give them the proper tools to learn real-world energy-saving tactics using RAP’s proprietary Measure-Based Education® system. This innovative program is designed to meet New York’s state education standards and uses in-class curriculum, instruction and hands-on activities to impress the importance of energy savings on students and their families, while creating informed and energy-literate ratepayers. Participating students will be guided through the educational program by their teachers and will also be given a customized Smart Kids Energy Efficiency Kit to take home. The Smart Kids Energy Efficiency Kits will include three 9-watt LED Lightbulbs, a high-efficiency three-way showerhead, a kitchen faucet aerator, a bathroom faucet aerator, a digital thermometer, a student guide and a workbook. The program is provided free of charge to Con Edison households, on behalf of the utility, whose goal is to educate today’s youth on the importance of energy efficiency. After completion of the Con Edison Smart Kids Energy Efficiency Program, the program participants have the potential to save more than 11,000 MWh of electricity, reduce demand by 300 kW, and save more than 360,000 therms of gas annually by retrofitting their homes with devices provided as part of the program. Resource Action Programs has developed and implemented energy efficient and water conservation programs for utilities, government agencies and community-based organizations for more than two decades. These programs shape consumer behavior and deliver impressive results that have yielded millions of dollars in savings. The Smart Kids Energy Efficiency Program will be one of the largest programs that RAP has implemented to date. 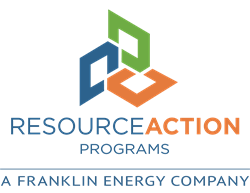 Resource Action Programs® (RAP), a Franklin Energy company, is the leader in cost-effective Measure-Based Education® for K-12 education, direct-to-customer, and small/medium business programs. The proven and effective design provides the tools to form energy-literate households and businesses while generating immediate verified savings in energy and water use. RAP programs consistently earn honors and awards from entities such as ACEEE, AWE, APPA, and NEUAC. For more information about RAP, visit http://www.resourceaction.com. Con Edison is a subsidiary of Consolidated Edison, Inc. [NYSE: ED], one of the nation’s largest investor-owned energy companies, with approximately $12 billion in annual revenues and $48 billion in assets. The utility delivers electricity, natural gas and steam to about 3.4 million customers in New York City and Westchester County, N.Y. For additional financial, operations and customer service information, visit conEd.com. For energy efficiency information, visit coned.com/energyefficiency. Also, visit us on Twitter and Facebook.